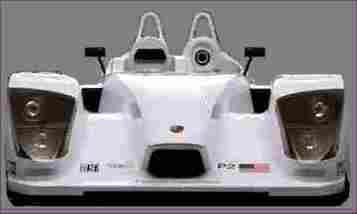 I have always loved the look of LeMans prototype racing cars. 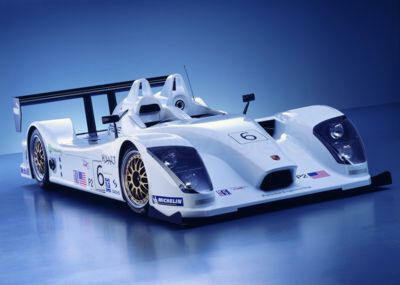 The new Porsche LMP2, Acura LMP2 and as always the Adui R8 and R10 cars. I also liked the idea of 3 wheeled vehicles so I am merging both into a kit vehicle that you can build yourself at a very reasonable price with exceptional performance. The attraction of having a very light vehicle, with a powerful engine that has great handling is a great combination. The three wheel vehicle concept can make a very compact vehicle for an even greater sensation of speed and agility. The TRP3 kit vehicle with be a very reasonably priced vehicle that has outstanding performance and ease of assembly. The TRP3 will use a 1999-2007 Suzuki Hayabusa as the donor vehicle. The items used off of it will include the complete engine and electronics. The concept is to keep it a simple vehicle that focuses on performance, value and visual appeal. More information will be available soon and progress will be updated. Chassis: Multi-tubular steel chassis frame. Rear suspension: Swinging arm, adjustable damper with coil-over. Chassis: Multi-tubular Aluminum chassis frame. Measured Peak Horsepower @ rpm: N.A. Measured Peak Torque @ rpm: N.A.